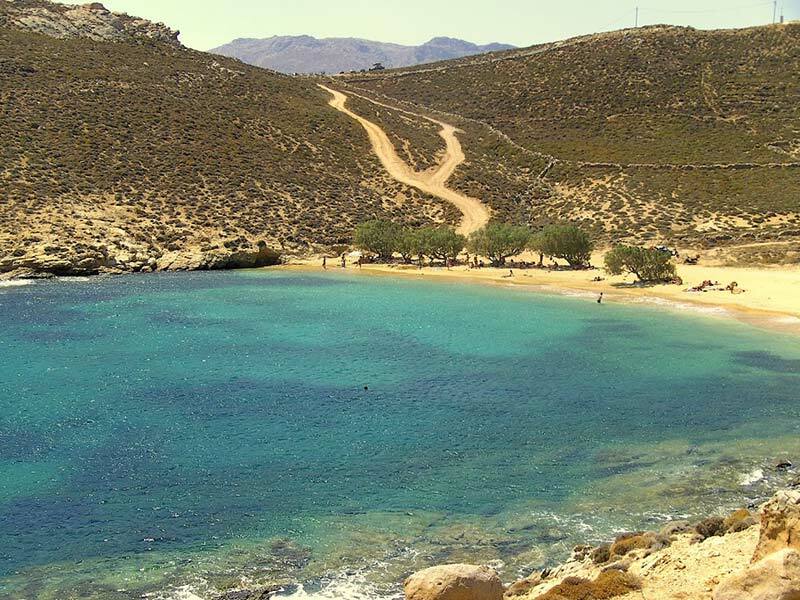 The enjoyable, Mediterranean climate, the numerous fantastic beaches as well as the crystal clear waters of the Aegean Sea guarantee you an unforgettable and one of a kind vacation on Serifos. We invite you to discover the traditional charm of the Greek villages, secluded bays with turquoise waters and fine sand as well as the impressive rocky landscape. Spring on Serifos, which is the ideal time of the year for hiking, invites you to discover a vegetation of wild flowers and herbs. But also the mild and quiet autumn days on the island are the perfect time for you to enjoy relaxing moments. Despite relaxation there is also a lot for you to experience. A great variety of taverns invite you to try the delicious Greek culinaries as well as international cuisine and also the island’s nightlife and bars assure you an environment filled with atmosphere and enjoyment. In numerous cafes you have the opportunity to enjoy your breakfast or relish the end of an exciting and beautiful day with your ‘sun-downer’ cocktail. The sporty holiday-makers do not have to miss out on adventures such as scuba-diving, snorkeling, Tube, or windsurfing. 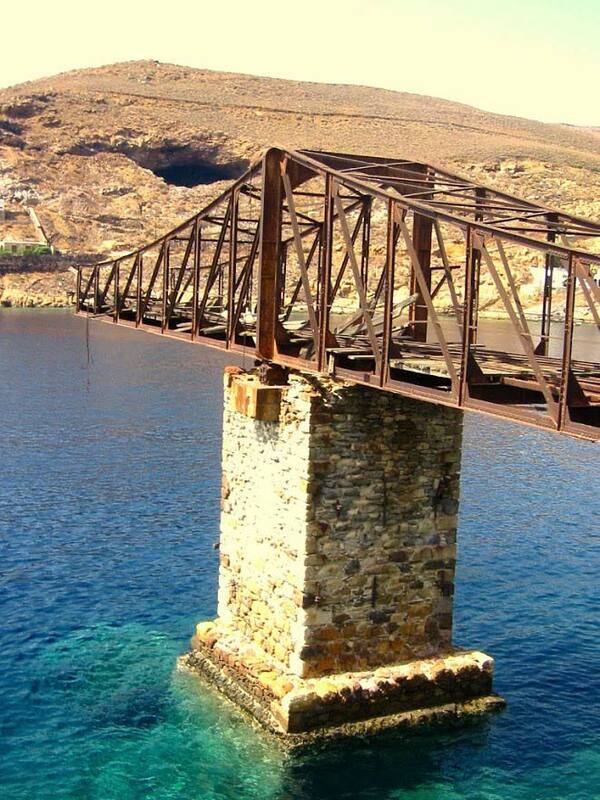 For those who wish to discover the hidden secrets of Serifos there is the opportunity to rent a car, scooter, motorbike, as well as a Quad. Alternatively you can also join day trips by boat to explore the island’s magical secluded beaches. 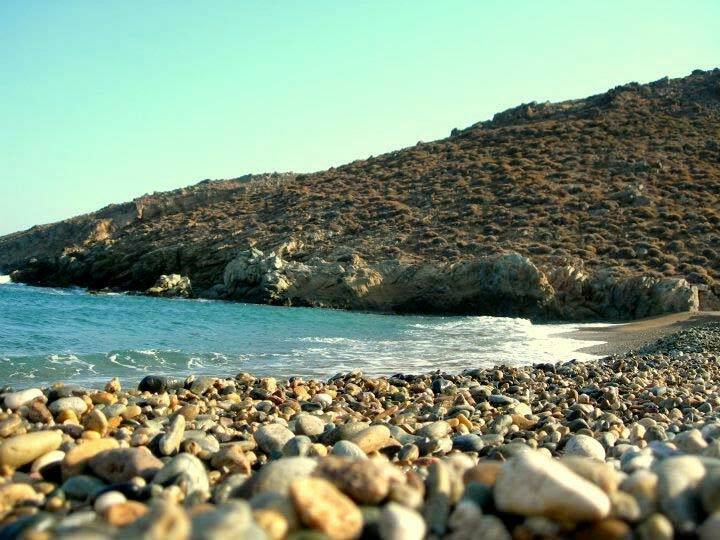 The great variety and number of beaches of Serifos is one of a kind. You prefer fine, white sand, or rather colourful shaded pebbles? With over 70 beaches for sunbathing there is something for everyone’s taste. 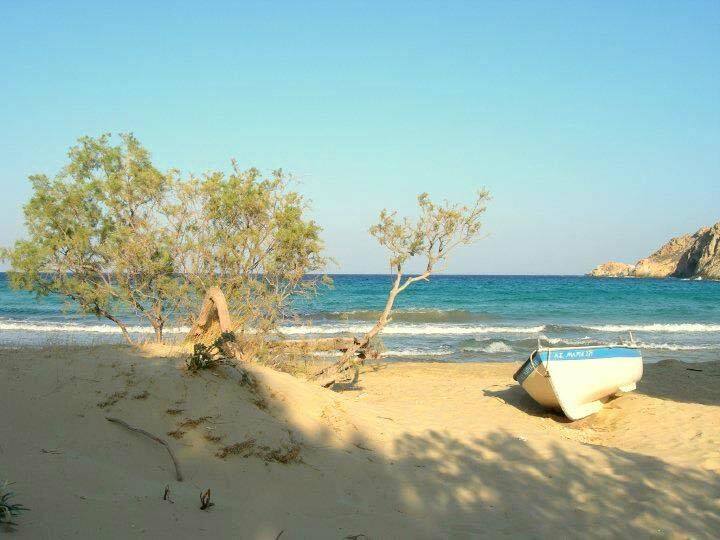 Most beaches are conveniently reachable on foot, with a car, or the island’s public bus from the town of Livadi. In 2004, the marvelous beach of Psilli Ammos has even been voted as number 1 of the best beaches in Europe by the Sunday Times. 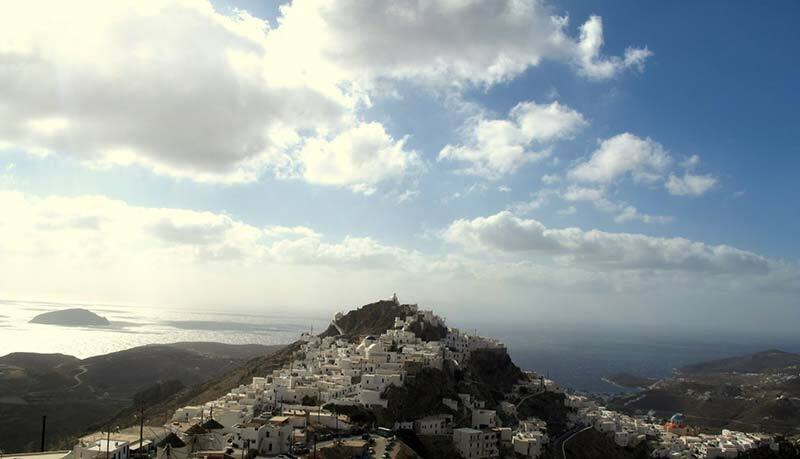 A wonderful feature of Serifos Island is the main town, better known as ‘Chora’, which is overlooking the port-village of Livadi. 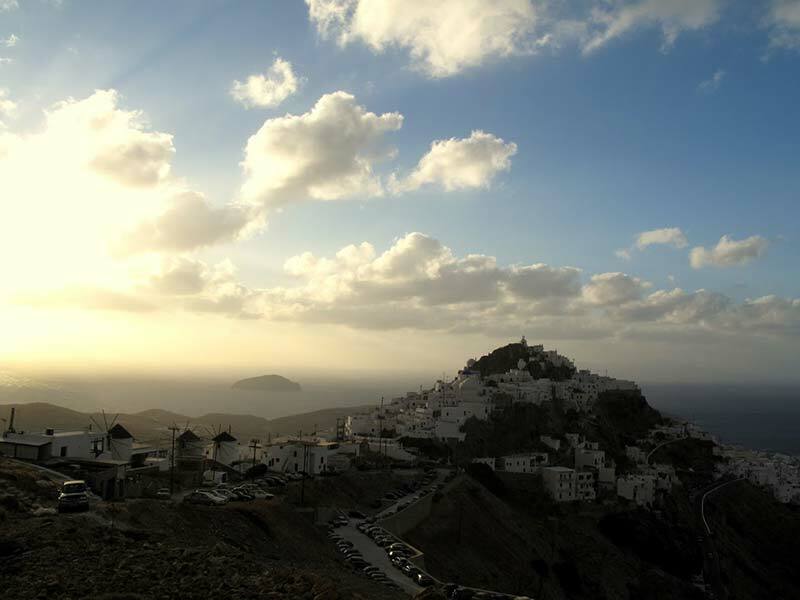 The charming town Chora with its traditional Cycladic-style white houses and narrow paths is a fascinating place to visit and wander around despite promising you a breathtaking view on Livadi bay and the many surrounding islands. Furthermore, Chora’s restaurants, taverns, bars, and cafes assure you a traditional Greek ambiance in a unique setting. 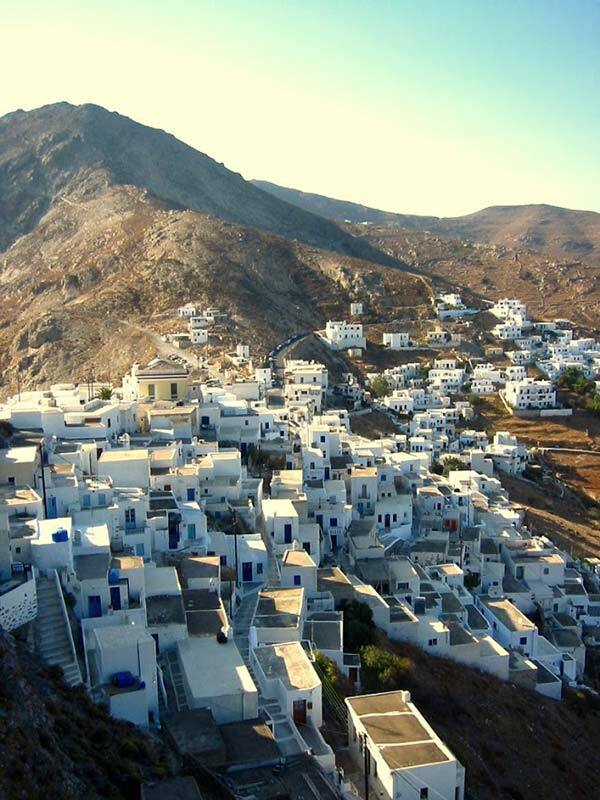 You may reach the Chora easily on foot, rented car or bike, or the island’s public bus. Despite the town Chora there are also other great sightseeing opportunities such as the monastery Moni Taxiarchon built in the 16th century, the iron mines of Mega Livadi and Koutalas, as well as the medieval church of the village of Panagia.